Hi Laurie! I have a question, you take great closeups, but do you think you could also post a full body shot of the insect in a comment below the pictures? Its a great idea but tbh I rarely have a full body shot..
[http://www.flickr.com/photos/sequentialmacro] It's Chrysiridia rhipheus, the Madagascan Sunset Moth (en.wikipedia.org/wiki/Chrysiridia_rhipheus). Thanks for the kind words! 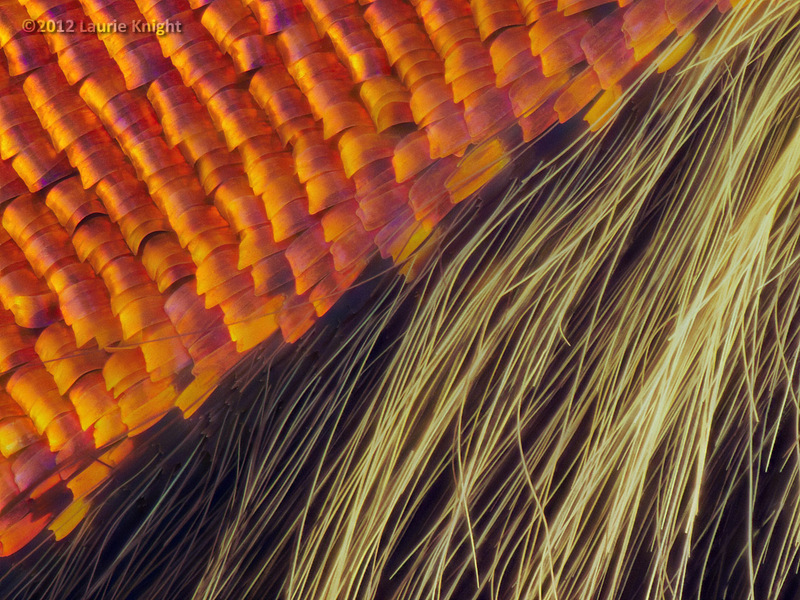 I've had a couple of images in magazines, a Weevil in Wired magazine and some sunset moth wing scales in Scientific American.. I hope to see you in science someday or nature. Truly deverse it.